North of Joshua Tree and south of Death Valley, Mojave National Preserve resembles a bit of both. Since it is not a national park, MNP is short on facilities, but this absence creates the opportunity for a more intimate visit with the desert. 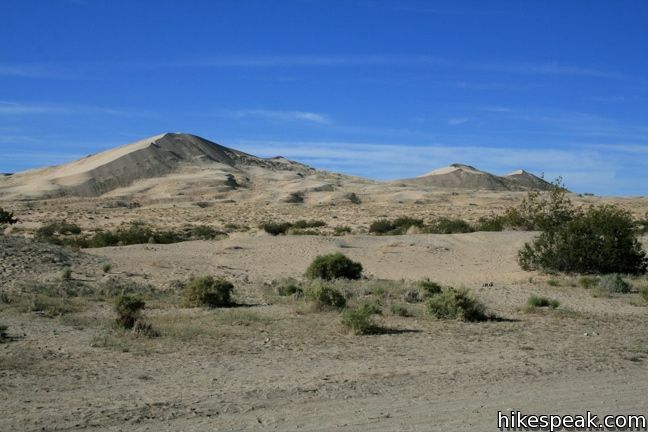 FACT: Mojave National Preserve has a larger dune field than Death Valley. FACT: Mojave National Preserve has more Joshua trees than Joshua Tree. FACT: Mojave National Preserve does not charge an entrance free. Situated on 1.6 million acres, Mojave National Preserve is less-visited park that offers many natural attractions. To help get started, visit the Kelso Depot Ranger Station. A worthy attraction in its own right, the ranger station resides inside an old train depot that was build by Union Pacific Railroads over a century ago. This is the perfect place to ask questions about the park and learn the history of locomotion through the desert. Mojave boasts hundreds of miles of off-pavement trails for 4X4s. Two wheel drive vehicles will not have a problem visiting many of the roadside campsites and other attractions. 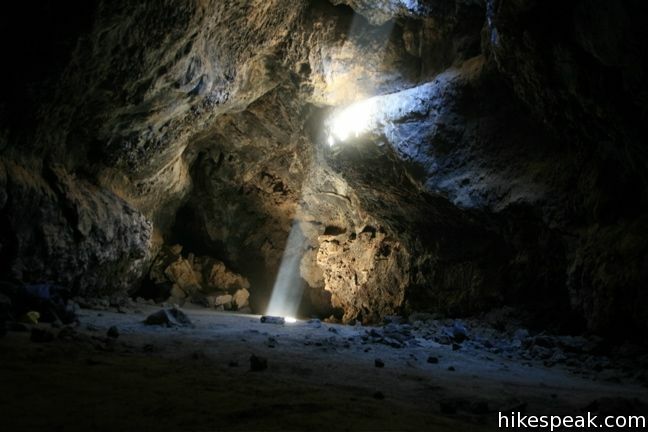 You may also take a tour of Mitchell Caverns, which is located in a state run nature preserve within the national preserve (a fee for the tour is required). Summer temperatures are in the triple digits, making November through April the best time to visit the park. This collection of trails in Mojave National Preserve, California lists the hikes from north to south and west to east. The table can be sorted alphabetically or by distance to help you plan a trip to Mojave National Preserve. Each trail links to its own report complete with directions, photos, GPS maps, elevation profiles, and everything else needed to explore Mojave National Preserve. 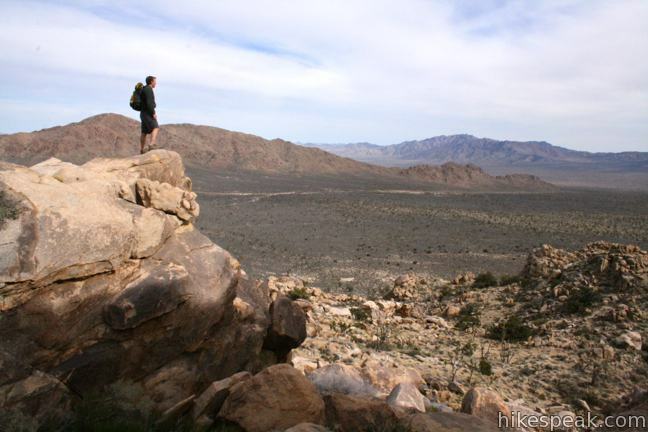 You can also view hikes around Mojave National Preserve on the Hike Finder Map. This out and back hike crosses the world's densest Joshua tree forest, passing an abandoned silver mine to reach a rocky summit with views of Cima Dome. While many national park nature trails are short, level, and informative, High View Nature Trail offers a bit more for hikers, 325 feet of elevation gain on a 1 1/3-mile loop. 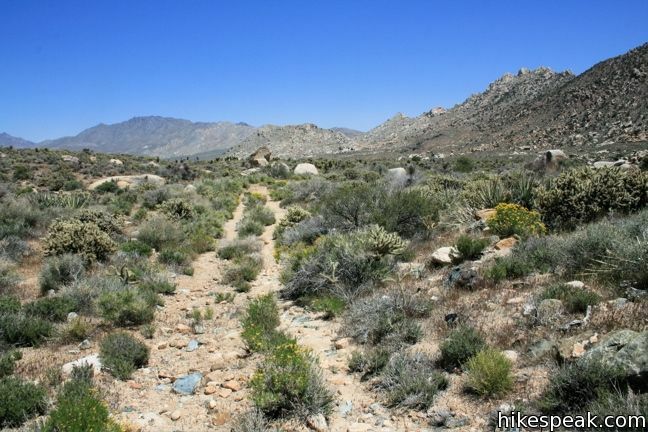 The trail ascends a desert ridge with views over Yucca Valley and toward Southern California's tallest peak, San Gorgonio Mountain, in the mountains to the west. The loop starts near Black Rock Campground on the west... Read more. Water is something you don't see much of in Mojave National Preserve, certainly not just pooling on the ground as it does at Rock Spring. The constant source at Rock Spring helped inhabitants survive in the Mojave Desert for thousands of years and was even the site of a small U.S. Army post in the 1860s. Today you can reach the spring easily, along with a Rock House built in the 1920s and... Read more. Tamarisk Grove Campground is one of four developed campgrounds in Anza-Borrego Desert State Park, with 27 sites, plenty of shade, amenities, and nearby hiking trails. Tamarisk Grove has interesting history too, originally serving as a San Diego County prison camp. Thanks to numerous park improvements, it won't feel like you are doing hard time to spend a little time at Tamarisk Grove... Read more. Broadly speaking, the desert is where you go to find cacti. 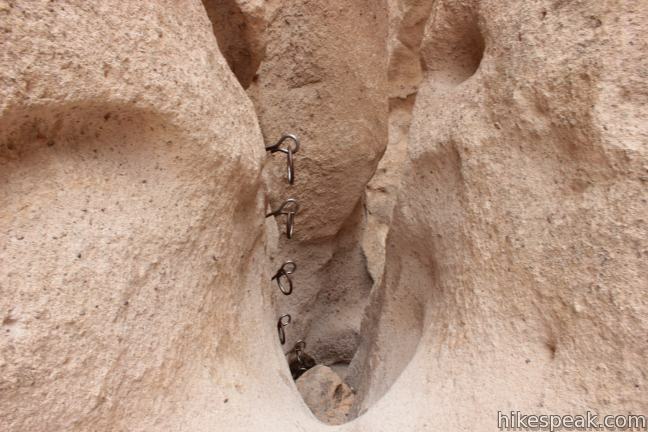 Speaking specifically, Cactus Loop Trail is where you go in Anza-Borrego Desert State Park to see lots of cacti. True you can spot these prickly plants throughout the park, but this self-guided nature trail explores a rocky ridge that is utterly blanketed with a variety of cacti. A state park provided trail guide pamphlet offers a... Read more.